My Fourth visit to The Mentari,The Le Brocqs love it,the staff are brilliant especially Maudini and Dayu,Hotel is comfortable and clean cannot recommend enough,we will be back.love the pool,great place to stany. Mentari is a quaint little hotel set back from the busy main road. Our room was a good size and clean. Service was excellent with helpful staff. Short walk from the beach, warungs, and bus and ferry terminals. The seaside walk that stretches a few kilometers south is a great way to see the area. We enjoyed our stay tremendously. My partner and I stayed at this hotel last year in June for 10 days, the rooms were a bit worn but they are in the process of refurbishing. 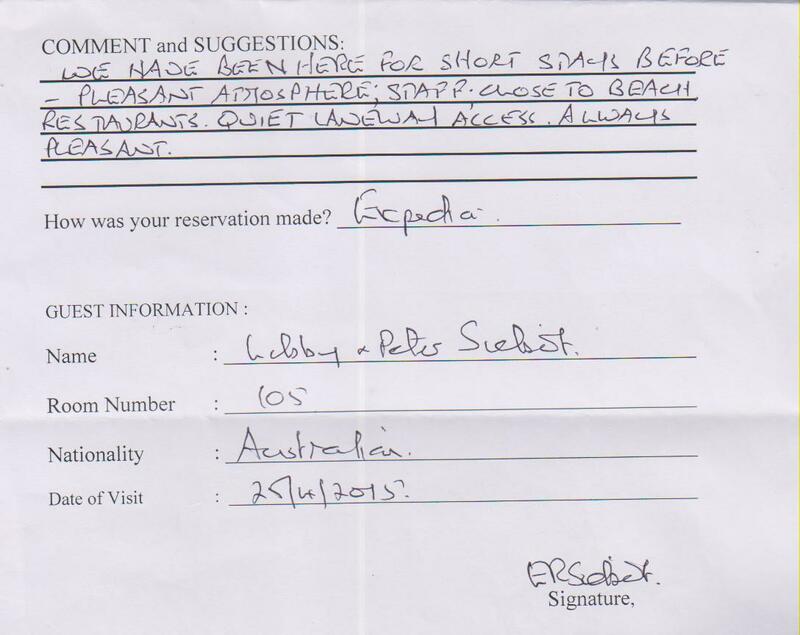 We could not fault the place, the bed was very big and comfy, the food good, the staff friendly and cold air con. We are not fancy people so we found it very good.